Three cheers for the ACT! You will recall I project manage the ACT Regional Cheerleading competition which is run in August every year to not only give our cheerleaders a chance to compete in the ACT but to also raise money for skilling our athletes and coaches AND to give back to the Canberra community. 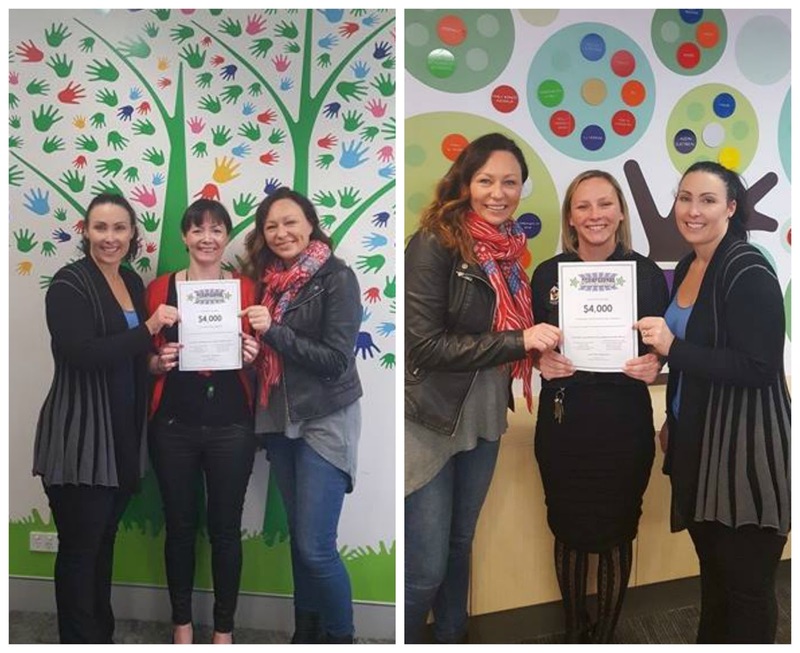 Every competition cheerleading squad in the ACT region comes together to put on the event which hit a high this year with 570 athletes in attendance across 13 cheerleading squads raising over $8000 for our chosen charities. This morning Belinda Dawson and I were honoured to represent ACT Regional Cheerleading as we visited both Cerebral Palsy Alliance and Ronald McDonald House Canberra to present them with their donation money. Seeing up close and personal what these charities do for families really brings home what an amazing event the ACT Regional Cheerleading event is. Yep, it's worth all the hard work. Yep, I'll do it again. Yep, there will probably be a few swear words but they will be long forgotten once we get to hand the cheques over again. Well done! That's such a significant amount of fundraising! That's such a wonderful achievement.